The first Resident Evil film is in my Top 10 films of all time, it is sublime. It is a shame then that none of the sequels even come close to it. 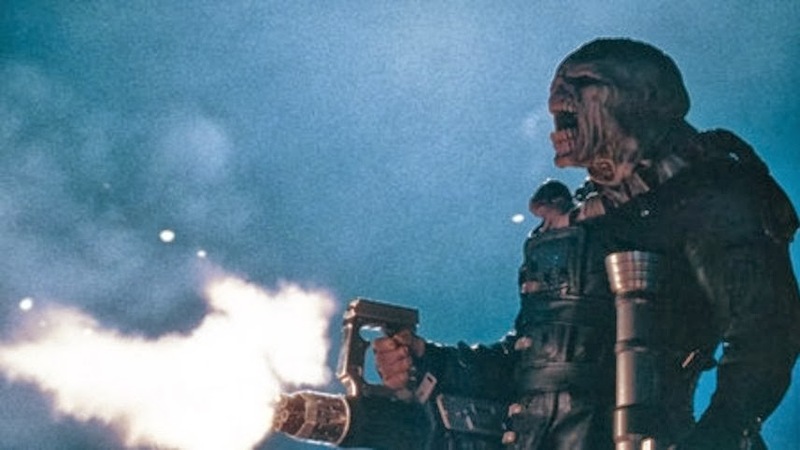 Disappointment is a word I would use when I first saw Apocalypse but with the sands of time lowering my expectations would it on a second viewing turn out to be not quite so bad? 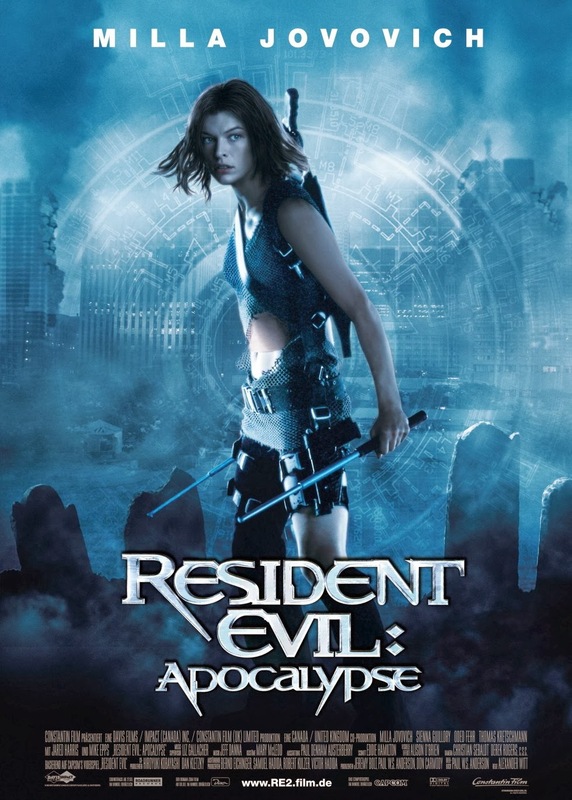 Apocalypse follows on from the events of the first film where Alice (Milla Jovovich) was captured by Umbrella. Set around 3 weeks later Raccoon city has been over run by the T-Virus thanks to the actions of the evil Umbrella Corporation. Key Umbrella employees are evacuated before the outbreak becomes public knowledge which includes wheelchair bound Dr Ashford. Major Tom Cain seals off the city with orders to kill anyone trying to leave it while also activating some special Umbrella projects in order to get combat data from them: a monstrous being named Nemesis, and Alice who now has super human powers thanks to experimentation. Alice soon hooks up with other survivors including Jill Valentine (Sienna Guillory) and Carlos Olivera (Oded Fehr). In the evacuation Dr Ashford's daughter got lost, he contacts Alice and the others and promises them a way out of the city if they rescue his daughter. They have till dawn as at that point a nuclear bomb is going to be detonated to contain the zombie outbreak. Alexander Witt the director needs a slap, strong words but the directing in this film is pretty terrible. For some reason whenever zombies are shown they move in heavily edited slow motion which quite frankly looks terrible. Zombies in general are pretty bad here, they move in packs and so there is not much chance to see individual ones. For the most part they only turn up to hurry the action on, disappearing for huge chunks of the film. An early action sequence showing Umbrella mercenaries battling the undead was quite cool, and in fact copied straight from the intro sequence in Resident Evil: Nemesis. What I loved about Resident Evil was all the numerous nods to the videogame franchise, here there are quite a few also which are fun to try and spot, for the most part the story is a mash up of Resident Evil 2 and Nemesis yet it is Resident Evil: Code Veronica that the biggest nods point to. Alice charging down a corridor as a gun ship fires at her, slow motion gun catching both stem from the intro to that game. With the introduction of key characters from the videogame series my enjoyment got ruined somewhat. The previous instalment I can fit into the canonical events of the series yet here having Carlos and Jill show up (even if they are wearing the appropriate clothes), while Resident Evil 3: Nemesis bad guy Nicholai is on the heroes side here. It proves the series is separate from the games once and for all. 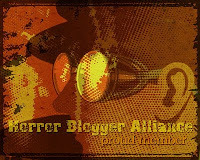 Zombies are quite terrible in Apocalypse but other monsters do make appearances. The Licker so popular from the end of Resident Evil makes a come back with some siblings. Again the CGI makes these look a bit fake. The zombie dogs also make a triumphant return and while I have complained about the zombies and their horde patterns the inclusion of a classroom full of zombie school children got my approval. The Nemesis monster is fantastic and has some great sequences. Him going up against the S.T.A.R.S Charlie squadron is a fun part, and his battles with Alice are never dull. Armed with a rocket launcher, mini gun and super human strength gives him a real presence in all his scenes. The acting goes down to new lows here, Guillory and Fehr in particular really ham up their lines (but at least are easy on the eyes) while Jared Harris as Dr Ashford bellows all his dialogue for reasons I just can not fathom. Jovovich is as ok as ever and while bad guy Tom Cain is pretty one dimensional Thomas Kretschmann does the role well. Most the other characters are completely forgettable and the inclusion of a comedy character is never a good sign. You know something is up when the best acting comes from the child lead. Like the later games Apocalypse lost any attempt at horror to bring pure action, downtime is minimal and shocks are non existent, this may have zombies and other monsters but even when they literally rise out of their graves these ghouls are not at all frightening. Now Apocalypse certainly is not a bad film, it is fun to watch albeit quite goofy and it does make an attempt to pander to the fan base but overall it is inoffensive, mainstream, shallow and designed for people who have misplaced their brains.